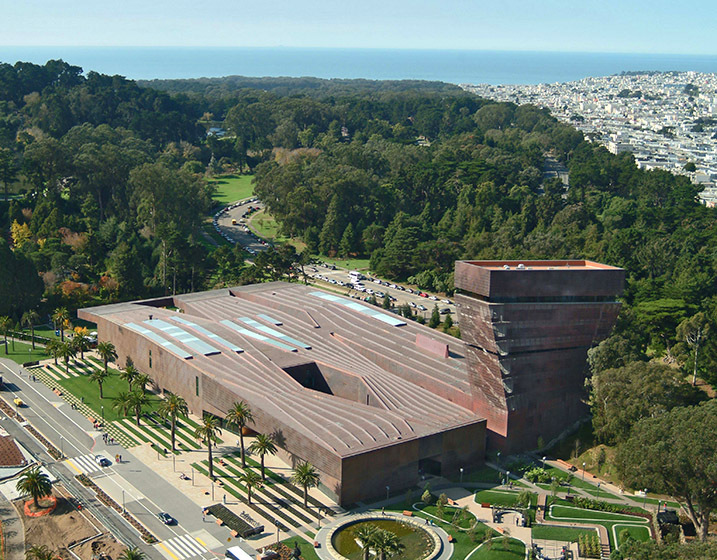 The de Young Museum houses multicultural art with world-renowned visiting collections. 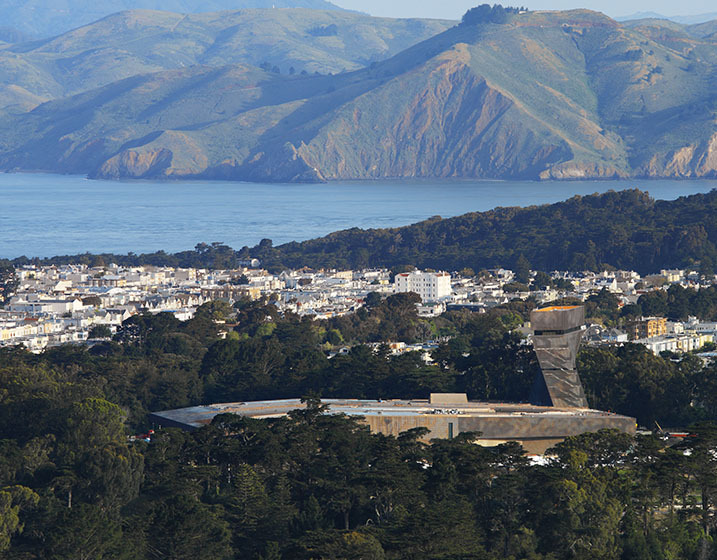 The three-story, steel and glass structure, with its nine-story twisting tower, serves as a landmark in Golden Gate Park. 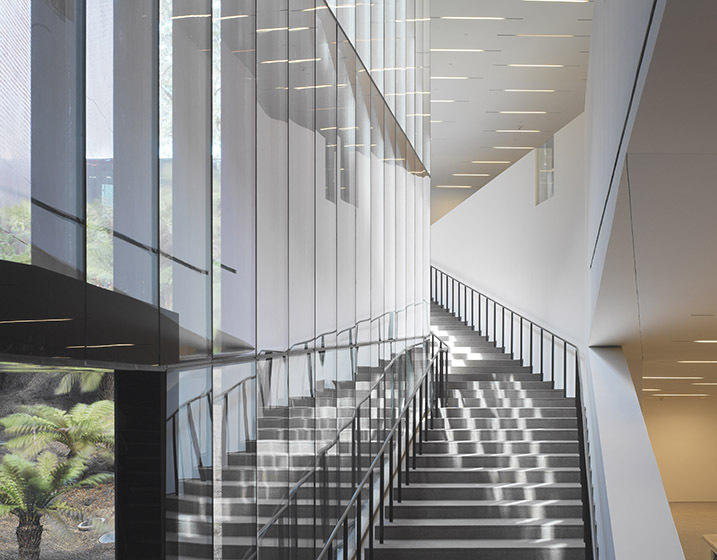 With unique art visiting from around the world and delicate permanent pieces, and located only 4.7 miles from the San Andreas Fault, the building required the state-of-the-art seismic solution provided by base isolation with dampers. Rutherford + Chekene was structural engineer for the museum and its isolation system. Isolation afforded great flexibility in art display and addressed the owner’s request for large, open spaces free of columns. The isolation also allowed us to use less complicated and costly details. To free up the copper-clad roof—named the “fifth façade” by Herzog & de Meuron—MEP systems were located in the crawl space with the isolation and damping systems. R+C paid careful attention to the double use of the space, collaborating closely with MEP engineers to strategically locate isolators to not interfere with MEP equipment during a seismic event. Included in the museum’s unique design was a 62-foot by 7-foot-deep cantilever. 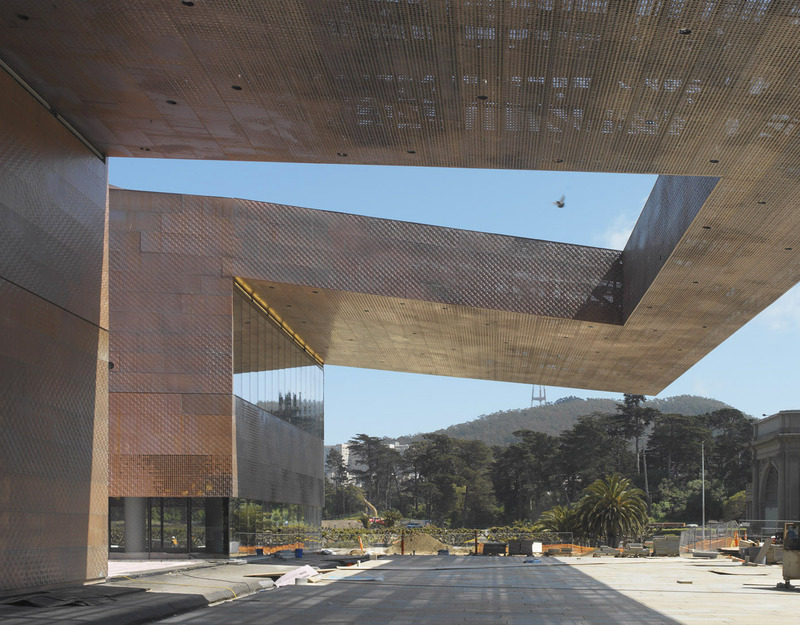 Wind and seismic forces on the cantilever were among the design team’s major concerns. R+C analyzed the structure and developed a design using primary and Vierendeel cross trusses, which strengthen the cantilever while playing a minimal visual role essential to the aesthetic. While the education tower is not isolated, its structural solution is complex. Post-tensioning of the tilting concrete shear walls enables the unique twisted look of the structure.